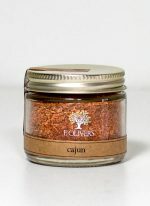 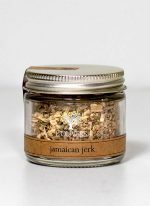 Coarse pepper and orange peel make this an excellent rub or marinade for meat, poultry, fish, and wild game. Sprinkle on roasted vegetables or add to slow cooked stews and sauces. 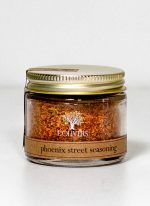 Hand mixed from: flake salt, cracked Tellicherry black pepper, sugar, minced orange peel, coriander and turmeric.